Is it possible to experience any menstrual symptoms before my periods? Usually before the periods, certain symptoms might be experienced that indicates the onset of the menstrual cycle. These are referred to as pre-menstrual symptoms or PMS. Such symptoms can be both physical and emotional in nature and it is believed that about 85% of the women experience these pre-menstrual symptoms. 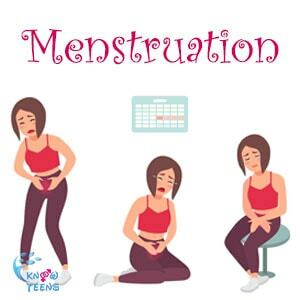 The pre-menstrual symptoms usually start about five days before the actual menstruation and fades away once the bleeding stops. There is no clarity as to when symptoms are experienced. Few claim that it could be due to changes in the hormones such as estrogen, progesterone and serotonin. The physical symptoms predominantly include the pain in the muscle or joints, fatigue, stomach bloating, increase in weight, tenderness in the breast and constipation or diarrhea. On the other hand, the emotional symptoms are food cravings, changes in sleep patterns, mood swings, depression, anxiety, etc. The fluctuation in the serotonin levels can be considered as a reason for the changes in the moods and emotions. Though the list of pre-menstrual symptoms is given, it is not necessary that all women experience it. They can differ from person to person. It is also possible that one may not experience any of the symptoms before the menstrual cycle. See Also: When is a menstruation process considered irregular and medical advice should be taken?